> Blog > How Much Does a Commercial Cell Signal Booster System Cost? How Much Does a Commercial Cell Signal Booster System Cost? 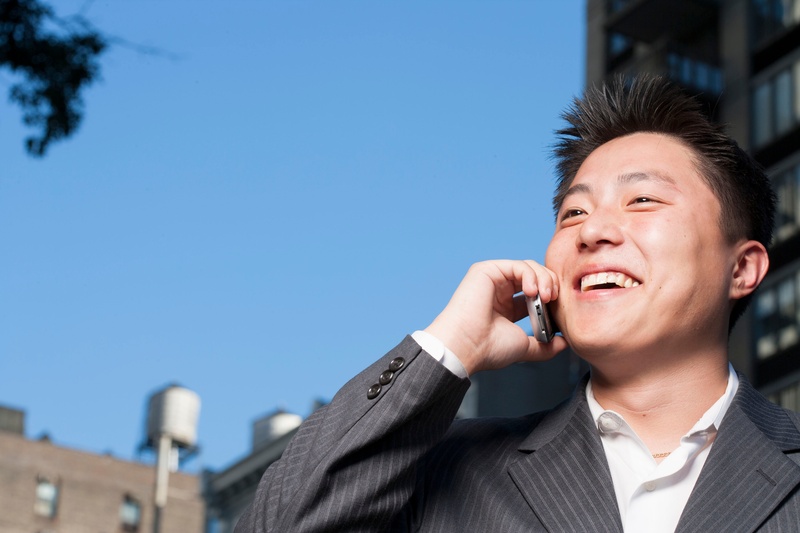 When it comes to solutions that boost cell phone signal quality, commercial users have a variety of wireless options. These choices include a traditional, active Distributed Antenna System (DAS) or a more flexible passive DAS, also known as a signal booster system. Simply put, an active DAS is hardwired into a building and provides a carrier-specific solution. While this system might work for large venues like sports arenas and concert halls, it’s typically not financially feasible for buildings under 250,000 square feet. An active DAS often times will cost hundreds of thousands of dollars, with installation and hardware costing as much as $2 to $4 per square foot. Even with that price tag, the solution normally only supports one carrier. If a user is looking to cover all carriers, the cost can jump to $5 to $10 per square foot depending on the size of the project. And if time is money, an active DAS is just as expensive in that regard, with installation of an active system taking as long as 12 to 18 months. On the other hand, a passive DAS or signal booster system is a flexible, carrier-agnostic solution available at a fraction of the cost of an active DAS. The exact price of a passive DAS depends on a number of variables, yet passive DAS remains the most financially viable wireless solution for the majority of commercial users. Costing just 30 cents to 70 cents per square foot on average, these cell phone signal booster systems are just a quarter of the price of even the most affordable active DAS solutions. And with installation taking a matter of days, rather than months, businesses effectively solve the most troublesome cell reception issues in a short amount of time. Learn how a passive Distributed Antenna System works. The single most important factor in price determination is the size of the commercial property and its coverage needs. As you would expect, larger buildings necessitate greater coverage areas, which requires more antennas and boosters for cell signal optimization. The number of antennas and boosters needed directly impacts the cost of a booster solution. The quality of the outside signal affects the cost of a system. If the system’s antennas receive a less robust signal from the nearest cell tower, placing antennas closer together inside a building – or using more boosters – is vital to the solution’s success. This additional hardware can affect the cost of a project. Certain building materials affect cellular signal quality. Cellular signals cannot adequately penetrate buildings constructed of concrete, and metal siding or cinderblock limit cellular reception, regardless of outside signal strength. Materials have a similar effect inside a building, where walls made of concrete limit signal penetration more than walls made of sheetrock. If a building’s construction materials obstruct the cellular signal coverage, the boosting signal solution may require additional hardware. Variations in state building and safety codes also affect cost. Code may require the use of fire rated cables or other safety requirements. If higher quality cable is required, it will increase the cost of the solution. It’s easy to see how a cell phone signal booster system, or passive DAS, is a wireless solution that is financially accessible to all commercial users. This carrier-agnostic solution can solve even the most challenging wireless connectivity problems in a matter of days, not weeks. Want to learn more about signal boosters and how they enhance call quality and data transmission for your business? 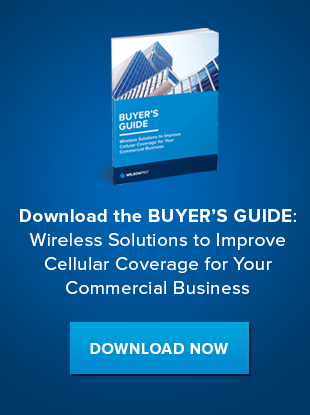 Download our Buyer's Guide to review wireless signal solution options for your business.